If reading good books is an opportunity to acquire joy, reading them at a holy place gives an added blessing. Study of scriptures generates immense power within says Swami Vivekananda. 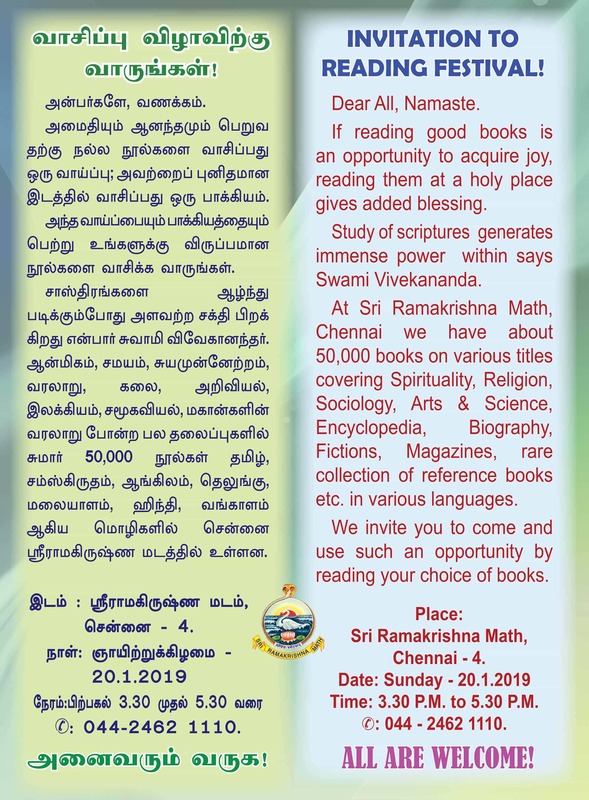 At Sri Ramakrishna Math, Chennai we have about 50,000 books on various titles covering Spirituality, Religion, Sociology, Arts & Science, Encyclopedia, Biography, Fictions, Magazines, the rare collection of reference books etc. in various languages. We invite you to come and use such an opportunity by reading your choice of books.